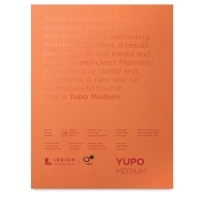 Yupo is a compelling and unique alternative to traditional art papers. It's a synthetic paper, machine-made in the USA of 100% polypropylene. It is waterproof, stain resistant, and extremely strong and durable. This extraordinary, non-absorbent surface resists tearing and buckling and remains perfectly flat, eliminating the need for soaking, stretching, or taping. Choose Bright White or Translucent sheets. 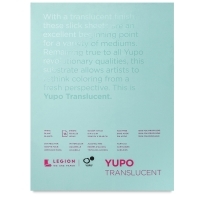 Pigments applied to the Bright White sheet retain their true clarity and brilliance while the Translucent sheet allows for special layered effects and tracing. 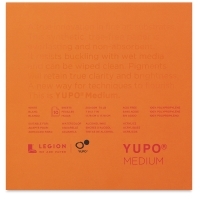 Yupo is pH-neutral, flawlessly smooth, and recyclable. Because of the unique qualities of this paper, dirt and oils hinder its performance. We recommend removing spots and fingerprints with soap and water before use. Pads are tape bound on the short side. 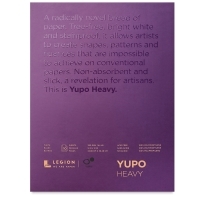 Heavyweight Watercolor Paper Pads — The heavyweight, 144 lb (390 gsm) paper in Yupo Heavyweight Watercolor Pads is incredibly strong with a very smooth surface. Its heavier weight makes it more resistant to buckling and warping. Pads contain 10 sheets of paper. 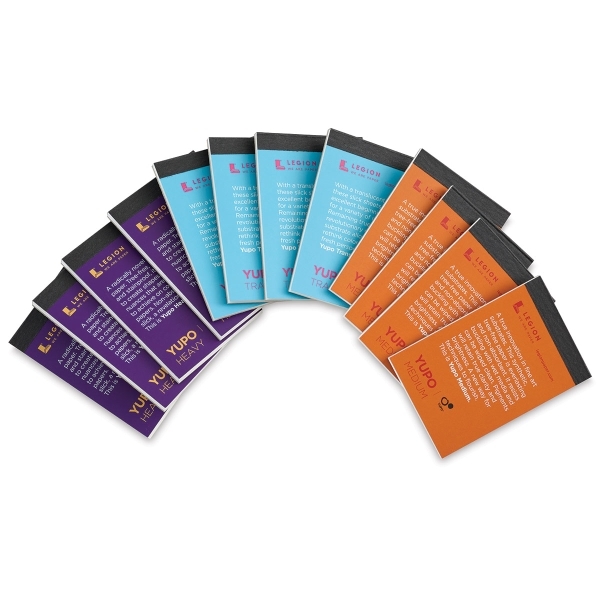 Mini Pad Set — A great way to get started on Yupo the set includes 12 trial-size (2½" × 3¾") pads, four each of medium, heavy, and translucent Yupo.